Feels like just researching this...thing opens a door I want to leave closed. I keep looking over my shoulder. Am I going to start seeing him everywhere? Will he drive me insane? Slender Man is featured often in horror video games and short films. I heard about this creature often but never knew the lore. Slender Man (also known as Slenderman) is a supernatural character that first appeared on the SomethingAwful forums under a thread titled “Create Paranormal Images.” User Eric Knudsen (a.k.a. "Victor Surge") in 2009 created photoshopped images featuring this creature. Knudsen also created fake "official" documents about Slender Man such a doctor's note recounting ita victims. Afterward, others added Slender Man images and fiction to the forum. 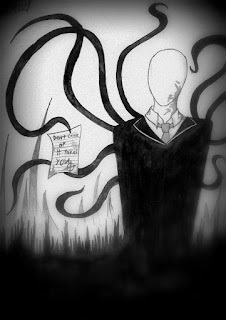 According to lore, Slender Man generally appears as a tall humanoid creature in a black or gray suit, red or black tie, and white shirt. His face is blank, with no eyes, mouth, or clearly defined facial features. He has no hair and his fingers are longer and bonier than a typical human. 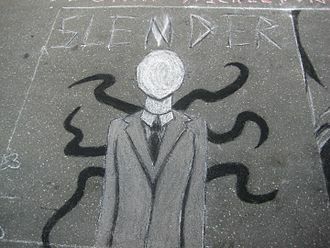 Slender Man has been depicted at anywhere between 6 and 15 feet tall, depending on the situation, though in videos he's usually only around 6-7 feet tall. No one has yet determined what Slender Man is. The creature may cause memory loss, insomnia, paranoia, coughing fits (nicknamed “slendersickness”), photograph/video distortions and can teleport at will. Some say he lives in the woods and eats children. He sometimes stalks human prey wherever he can find them: in basements, outside half-open windows, along lonely streets late at night. Some say he has no face. Others say, his face looks different to everyone who sees it. In some stories, Slender Man has multiple arms, like tentacles, and in others, he has no extra appendages. 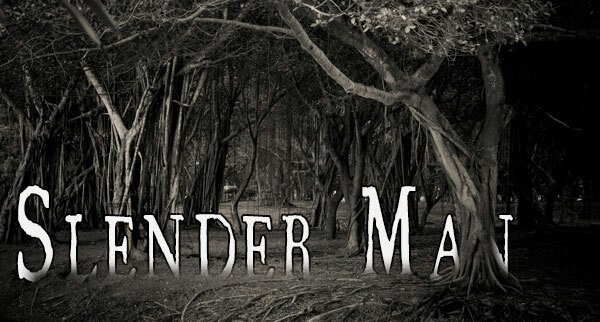 Stories of the Slender Man commonly feature him stalking, abducting or traumatizing people, particularly children. He appears in many works of fiction, typically published online. 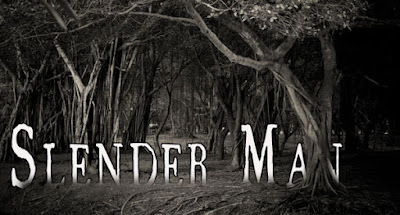 Outside of online fiction, Slender Man impacted popular culture, having been referenced in Minecraft and video games such as Slender: The Eight Pages and Slender: The Arrival. Beginning in 2014, readers of his fiction committed several violent acts in his name, particularly a near-fatal stabbing of a 12-year old girl in Waukesha, Wisconsin. Slender Man started out as a few photoshopped images and some bacsktory and took on a life of its own.